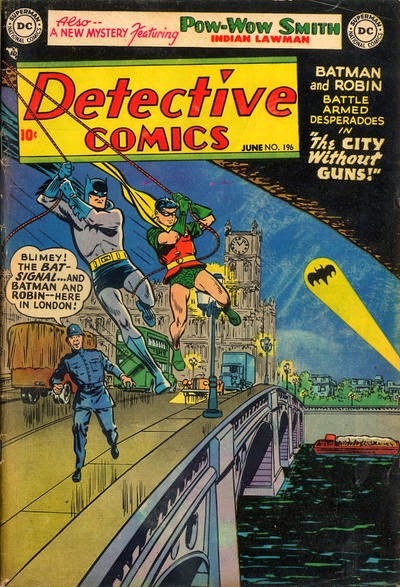 In this story, Batman and Robin travel to London to study Scotland Yard’s methods. The Yard has a collection of portraits of famous crime fighters. However, the Dynamic Duo’s own picture has been ripped from its frame. After apprehending a fugitive American criminal with the aid of British Batman fanatic Chester Gleek, the duo discover that the portrait was originally donated by Gleek, who indignantly reclaimed it after seeing that it was placed alongside paintings of such “inferior” detectives as Sherlock Holmes.